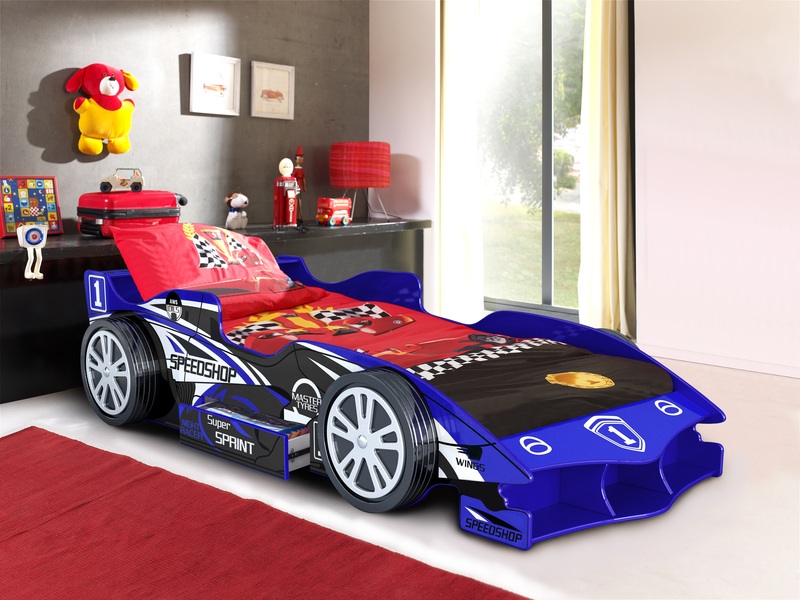 The Blue Speedracer Car Bed is the perfect bed for your little boy. It will make him feel like the next great world champion. Bedtime will be the special treat your child looks forward to in sheer excitement. This stunning bed will completely transform a regular room into a bright, vibrant and exciting bedroom where your child’s greatest dreams come true. 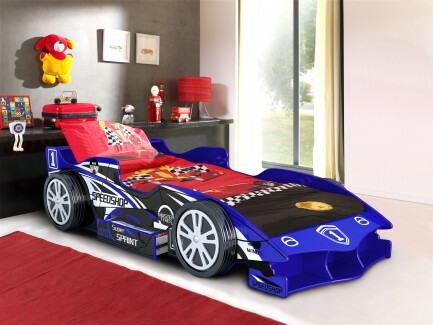 The Next Formula 1 Champion, The next Michael Schumacher, Lewis Hamilton, Sebastian Vettel will be made in this amazing Blue Car Bed. The sporty styling includes alloy wheels, 1 drawer storage and finished in a blue high gloss makes it even more appealing. The Blue Racer requires a 3’0 Single Mattress which means it is ideal for a growing child and the slatted base provides extra mattress support.